Corozal is continuing to gain popularity among expats and native Belizeans. The reasons are clear: Real estate prices in Corozal are much less than what you will find in other areas of Belize. Corozal has another advantage—less rain than in most areas to the south. This of course means the same tropical climate with less of the tropical rain. 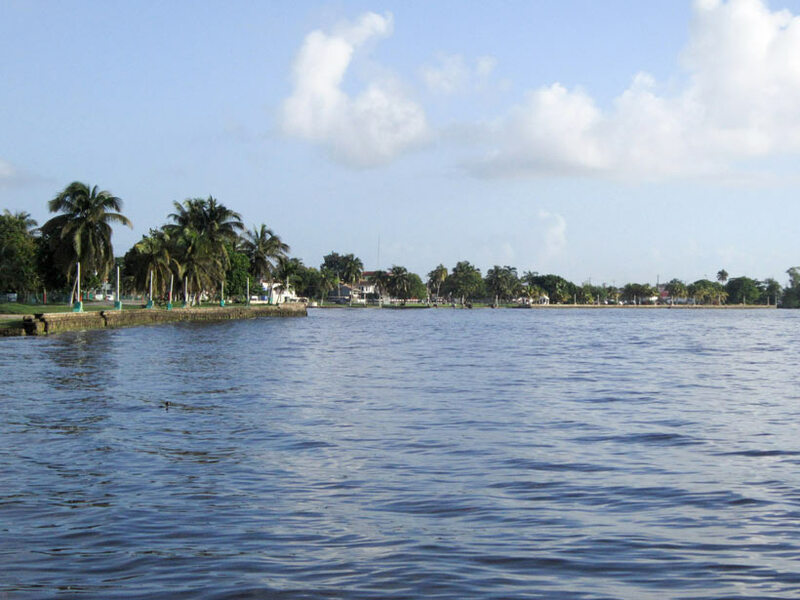 In addition, Corozal is less than a half-hour from the Mexican city of Chetumal, where shopping and nightlife abound. Even closer is the Belizean duty-free zone, where Mexicans and expats can buy bargain-priced goods. There is a pretty main square in Corozal and, thanks to its proximity to Mexico, feels a bit more Latin than some other parts of Belize. One big draw is the town’s location on the Bay of Chetumal, which locals usually refer to as Corozal Bay. Water in the bay tends to be a darker green than the turquoise of the Caribbean. There’s also a green parkland along the bay-front malecón, and plenty of beautiful water views. The city and surrounding area have many visible links with the past. 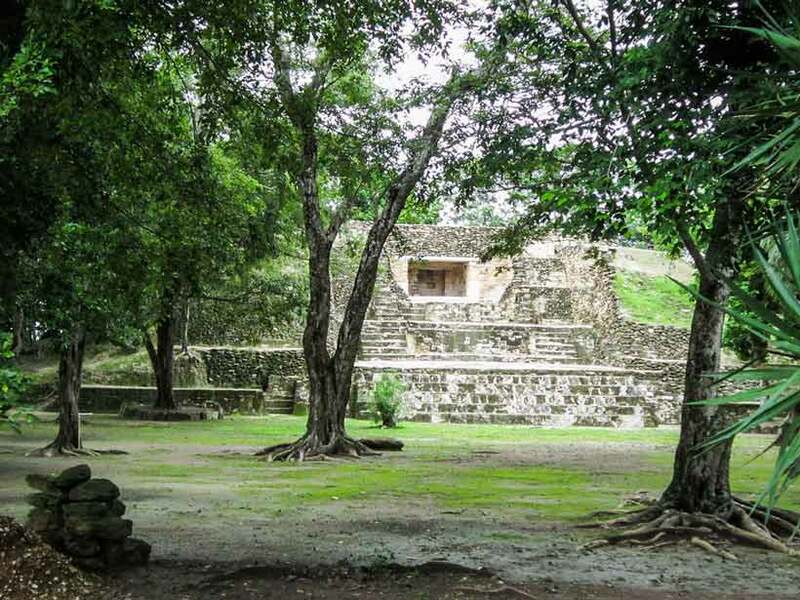 Corozal Town was built on the foundations of a Mayan ceremonial center (now called Santa Rita), and many of the town’s old buildings are constructed of stones pillaged from the ruins of Santa Rita, now a popular tourist attraction. 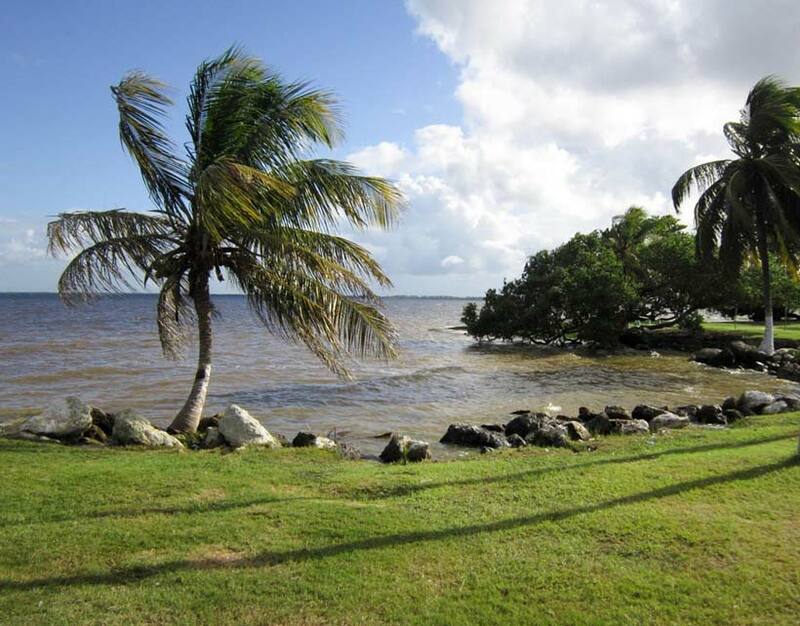 If you’re looking for a less expensive option in Belize, Corozal is perhaps your best choice. Still beautiful and still tropical, Corozal is an exciting prospect for expats and visitors alike. Several hundred expats live full-time in the Corozal District, with the numbers swelling during the months when it’s cold in their home countries. Most of them are retirees. In fact, Corozal may be the most popular destination in Belize for expats who plan to retire and live on their savings. Jan and Judy Wilson first moved to Corozal in 1994. They retired 10 years later and stayed. “When we first moved here,” says Jan, “we knew most of the expats. And while Corozal offers a Belizean island lifestyle with a much lower price tag than other areas of Belize. This is not at the expense of beauty, charm, or ambience. It’s easy to have a simple, laidback, Caribbean lifestyle in Corozal. Entertainment, food and everyday expenses are affordable. The town’s open-air market is a great place to buy everything from snacks and souvenirs to handmade clothing. Nearby are shops and restaurants that serve Belizean, Mexican, and American dishes, all at relatively low prices. If you’re looking for a bit more on your shopping trip, the nearby border with Mexico allows a more Americanized shopping experience, which can even include a stop at Walmart, Sam’s Club, or a shopping mall. There are many outdoor activities to keep you entertained in Corozal, including: sailing, fishing, swimming, visiting historic Mayan sites or just enjoying the laidback social life. There’s also a local museum and many activities in the local park. There are plenty of opportunities for expats to get together to socialize, or participate in volunteer activities. A few options you might join include: the Women’s Forum, the Rotary Club, the Consejo Shores golf group, the Corozal Bay Sailing Club, and the Roots and Shoots garden club. One group of expats get together for water aerobics, another for yoga classes on the bay. The Jam Rock Restaurant, in town, is a popular hangout for expats and locals alike. It sits on the bay, with an outstanding water view. Looking out from the restaurant you can see the profile of the downtown shoreline, across the water. Expats drop in at this casual restaurant frequently for lunch or dinner, to enjoy a Belikin beer, or their favorite cocktail. And the Corozal Bay Sailing Club holds its regattas and practices here. The cost of living in Corozal is much cheaper than other Caribbean expat havens in Belize. Corozal is not considered a tourist destination, and this is reflected in the lower cost of living. Restaurant and hotel price ranges are low. You can eat affordably at home, especially if you buy in-season produce and pick local brands in the grocery stores. It’s also quite affordable to dine out at the local cafés and restaurants. Breakfast and lunch prices typically run under $10. A dinner out will seldom exceed $20 per person at a Belizean style restaurant, including a drink. A couple that lives in Corozal Town and owns their own home can live comfortably on $1,300 a month. For a couple that rents, the budget increases to $1,700 a month. A growing number of expats are opting to live farther out, in one of the expat communities north of the town, such as Consejo Shores or 4 Mile Lagoon. But the cost of living in these communities is more than that in town. A couple that owns a home will need $1,600 a month. When renting in this area, budget $2,200 a month. Rentals are available in the Corozal District for as little as $350 a month for a small Belizean-style efficiency unit. For $500 to $600 a month you can rent a modern one bedroom unit. And for $750 to $1000 a month you will likely be able to find an attractive modern home on a large lot, with a bay view, to rent. This higher end price range is more common in the bedroom communities of Consejo Shores, Mayan Estates, and 4 Mile Lagoon.